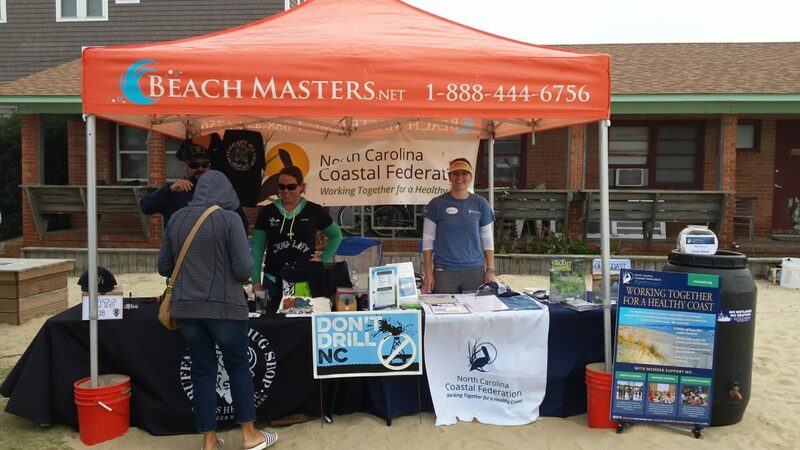 Two recent events in the Outer Banks celebrated North Carolina oysters and craft beer — all while benefiting the North Carolina Coastal Federation, which was on hand at both events to recycle shells and educate people about the coast. “The federation was honored to be the beneficiary of two local events featuring North Carolina breweries and oysters for the second year,” said Sara Hallas, coastal education coordinator for the Wanchese office. At the events, which both took place on Nov. 4, volunteers from the federation helped with shell recycling. Recycled oyster shells are put back in the water to create habitat for new oysters and other fish. Hallas said they created 50-60 bags of recycled shells between the two events. These shell bags will be used in restoration projects along the Outer Banks. 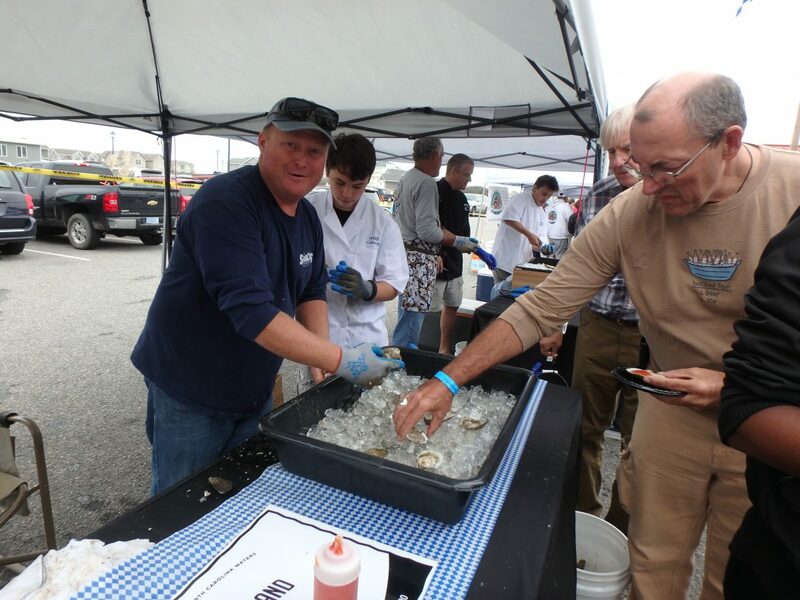 More than 300 people attended OystoberFest at Coastal Provisions Oyster Bar & Wine Bar Café in Southern Shores. This event, which is in its second year, was part of Outer Banks Restaurant Week. Four North Carolina oyster farmers and one Virginia farmer brought their oysters and served them raw on the half-shell. Seven Outer Banks restaurants served their own oyster dishes, including soup, pizza and variations of oysters Rockefeller. Seven North Carolina breweries were there with samples, too. A little ways down the road in Nags Head, Tortugas’ Lie and Buffalo City Jug Shop hosted Hopvember Fest for the second year. 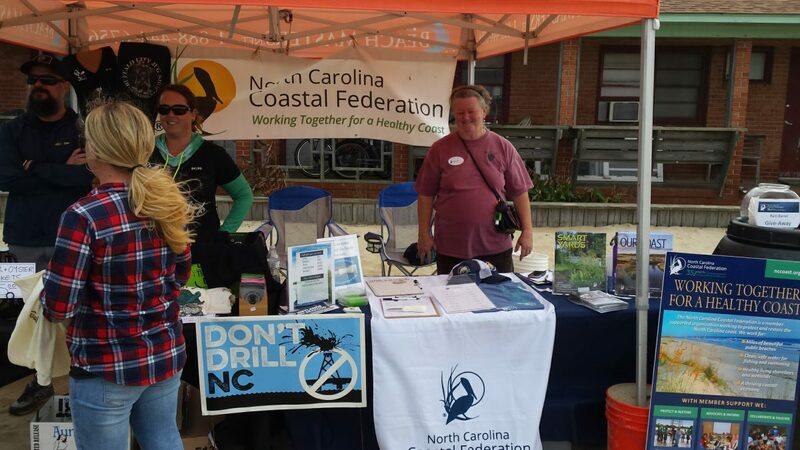 This event also featured oysters and beer, with the breweries 1718 Brewing (Ocracoke), Appalachian Mountain Brewery (Boone), Burial Beer Company (Asheville), Bhramari Brewing Company (Asheville) and Mother Earth Brewing (Kinston) in attendance. 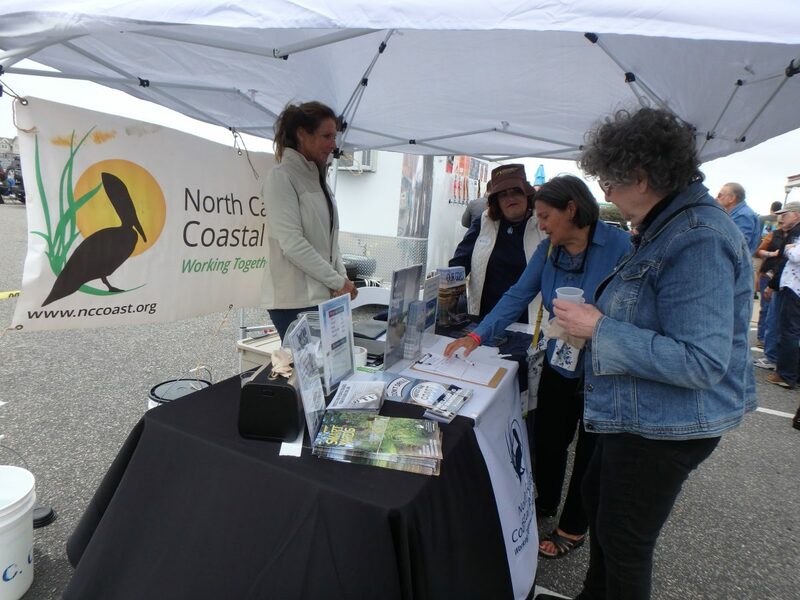 Ann Daisey, community conservationist, attended the event for the federation and educated people about its work on oysters and reducing stormwater. One participant received a free rain barrel. “Can’t beat steamed oysters, a pint of local brew and proud supporters of the coast!” Daisey said. Oysters are served at OystoberFest in Southern Shores. Ann Daisey helps out at Hopvember Fest, where the federation was on hand with information about oysters and reducing stormwater runoff. A volunteer mans the tent at Hopvember Fest in Nags Head.